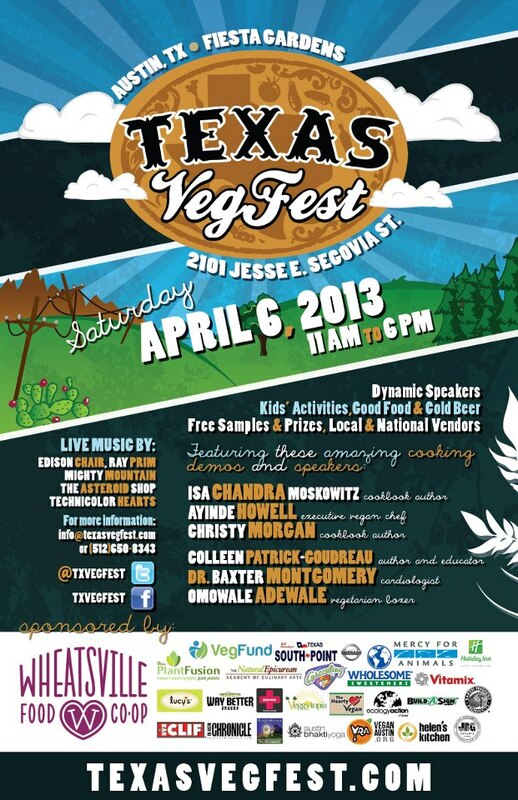 Hope to see you at Texas VegFest! Texas VegFest started last year and was a really well attended and fun event. This year I helped on Planning Committee for the Event and James will be working the JBG booth. Come say hi to us, take in some music, watch a cooking demo, listen to some great speakers, visit with vegan-friendly vendors from all over the country, and enter a raffle for some great prizes!